Minimal skincare for a natural you. Hi there! I'm Amber Magus the founder and force behind Naked Skincare Apothecary. I strive every day to live for the little things. I’m a homebody, working hard to live simply under the beautiful prairie skies of Winnipeg in Manitoba, Canada. My life revolves around my husband and two cats, my family, friends, and of course, good food and wine. Skincare has been my passion long before graduating Aesthetics school in 2011. I'm a firm believer that skincare doesn't need to be complicated, and that a few carefully chosen, natural ingredients have the power to change the way you feel about your skin. Naked Skincare was created from a deep desire for a natural, simply made line of products that were also affordable. When I couldn't find that, I put my knowledge of skincare to the test and created a line of products that I'm so incredibly proud of and that I now get to share with my community, both locally and with new friends from faraway places! I'm not here to point out your flaws or even convince you that perfect skin is the answer to all of life’s problems. I’m here to remind you that you’re beautiful and flawless, no matter what. I want you to have the freedom to embrace your naked face and come on a journey of slow beauty with me. And, I want you to love these products as much as I love creating them. 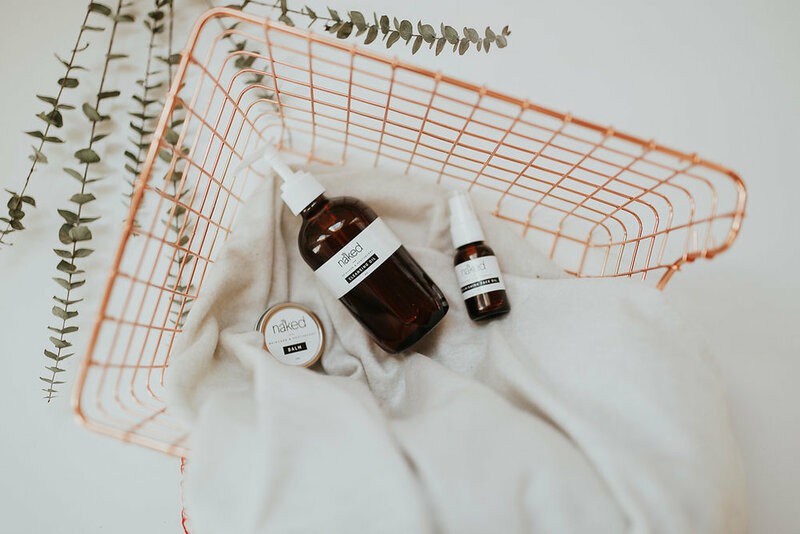 I’m so glad you’re here and I can’t wait to talk all things slow beauty, minimalist skincare, DIY recipes, and a whole lot of body positivity and self-love – because that’s what Naked Skincare Apothecary is all about. Now that you’ve found us, we’d love to be friends. Sign up for our mailing list below to join the Naked Skincare Apothecary community and gain early access to sales and skincare tips.